During the fourth week of July the annual Fremont County Pioneer Days celebration will take place in St. Anthony Idaho. This event has been celebrated in the community for nearly a century. This year's planned activities include a play, parade, rodeo, baseball tournament, 5K and 10K Fun Run, baked food sale, art exhibit, and Classic Car & Hot Rod Show. The history of this event is fascinating. It was originally organized by members of the Church of Jesus Christ of Latter Day Saints as well as groups from the St. Anthony Chamber of Commerce. It is currently organized by a group of citizens from throughout the community called Pioneer Days Incorporated. From the beginning, efforts were made to involve all faiths and groups in the community. In 1929, leaders from St. Anthony and Rexburg met to discuss the whether the two cities would continue to organize both July 4th and July 24th celebrations. At that time, it was decided that Rexburg would host the Fourth of July celebration and St. Anthony would celebrate and host the Pioneer Day celebration on July 24th. The two communities have traditionally supported each other in these events. The neighboring community of Ashton also celebrates July 4th and relies on support from the St. Anthony community and reciprocate with their support later in the month. The parade and rodeo have been staples of these activities but other events have been included over the years such as street dances, races, carnivals, special meetings with prominent political and religious leaders and much more. Pioneer Days Incorporated includes a board of directors made up of community leaders and an organizing committee with members who oversee each individual event. This non-profit organization ensures the celebration stays financially sound. Revenue comes from ticket sales, a baked food sale, event sponsors, and from concession stands during the parade and rodeo. 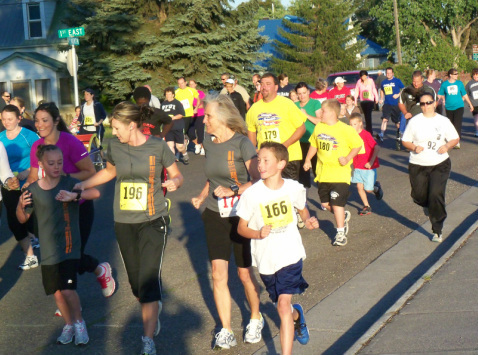 If these events are successful Pioneer Days, Inc. is often able to return money to the community in donations that help improve local facilities. 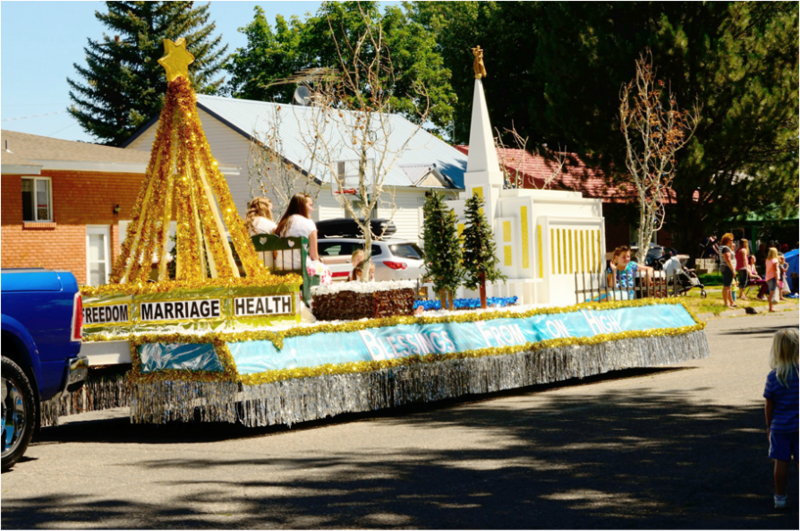 Organizers call the parade one of the best in Idaho and consider it equal to parades in larger towns such as Idaho Falls and Rexburg. Awards are presented to a grand prize float and also first, second, and third place prizes. Over the years the good spirited competition has become very keen. The celebration has become such a tradition in the community that each year many family reunions and high school class reunions are scheduled to coincide with the event. It is a great opportunity for many who have left the community to return and gather and meet with old friends.